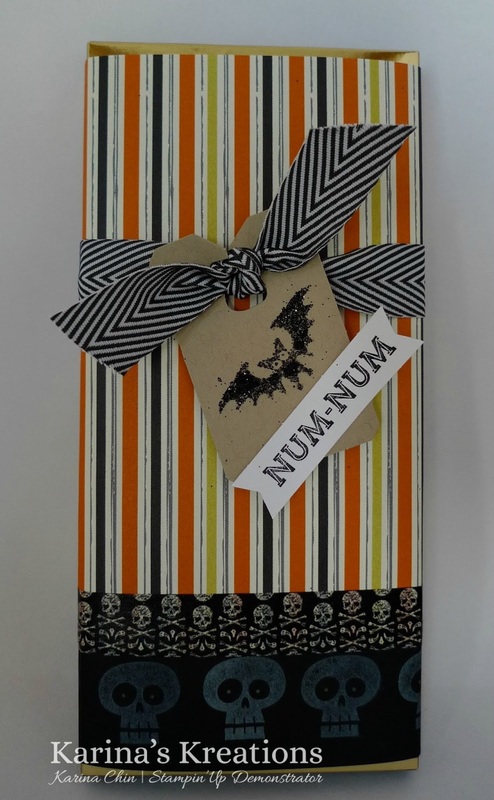 Karina's Kreations: Pumpkin Pie Goodie Gear Treat Holder! Pumpkin Pie Goodie Gear Treat Holder! Wouldn't you love to give out this fun little treat to your friends at Halloween? Stampin'Up has a Pumpkin Pie Goodie Gear Simply Created Kit to save you time and help you make cute gifts for your friends. 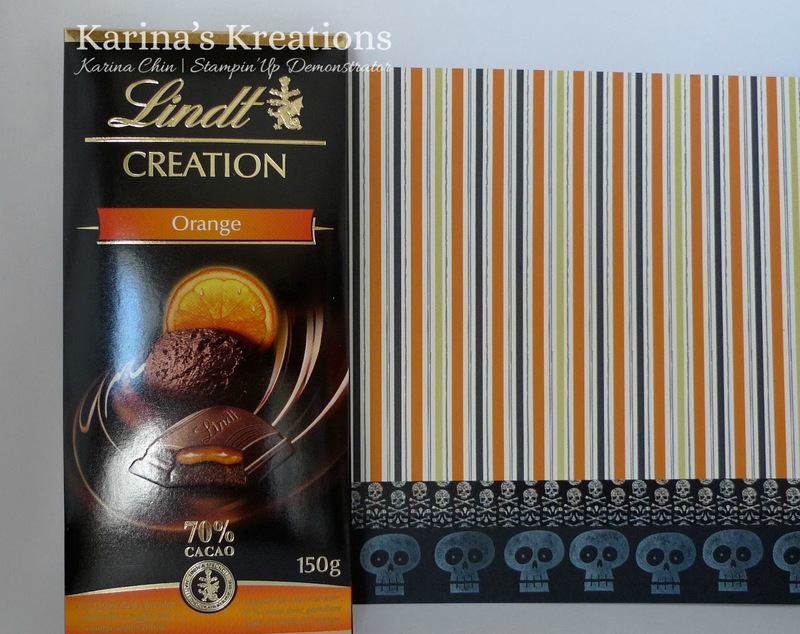 I used the Goodie Gear Kit #132792 with the matching Oh Goodie stamp set #131889, Halloween Hello #131718 stamp set and Witches Brew Designer Series Paper #132185 to decorate my treat! The bat was stamped with Versamark ink and embossed with Heat & Stick powder #100625. The trick is to heat the powder and stop just as it finishes melting. Then pour glitter over top and heat a second time with the Heat Tool #129053. I used the new Black Stampin' Glitter #132206. 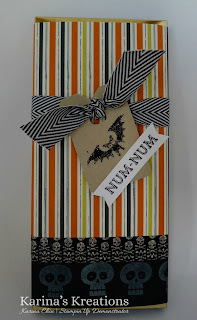 Witches Brew Designer Washi Tape #132156 and 3/4" Chevron Ribbon #130010 were also used on this project. If you want any of these items place an online order with me this Friday Aug 23 and I'll enter your name in a draw to be the hostess. If you want to place an online order enter this code 7U3WWWQJ. When you place an online order and add an item to your shopping cart the screen will look like this. Make sure you put in the hostess code before you check out. Earn Stampin' Rewards when your Merchandise Subtotal reaches $200.00! Here's the link to my online store Click here to shop online! Email me at kchin2@telus.net if you have any questions. I hope you'll take a look at all the blogs on the LNS blog hop! Did you find my clue?